A relationship is formed over time. Chargebee’s automated lifecycle emails are all about that. 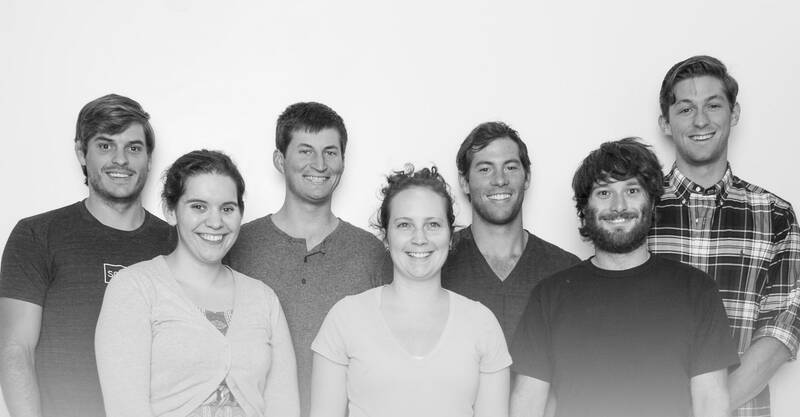 Set up customised templates that are contextual and personalised. 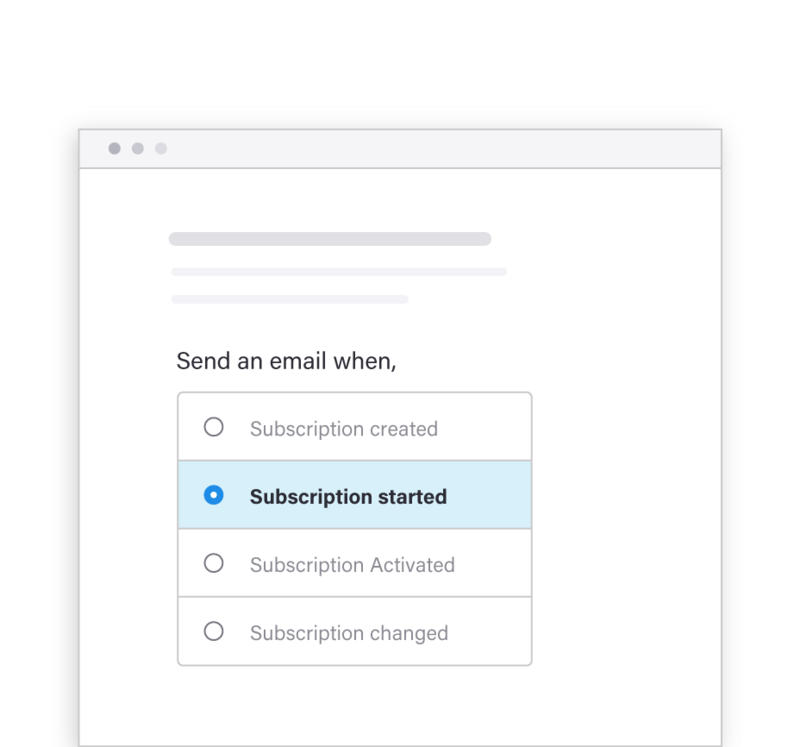 Right from the creation of the subscription to its renewal, Chargebee carefully notifies your customers for each lifecycle event of their subscriptions. Choose from our extensive list of triggers. Not just that, sync up these triggers to send out emails from third party apps like MailChimp too! All the way to the inbox. Chargebee lets you use your own SMTP server to send out emails. Having a custom SMTP server means that DMARC policies will not affect your email’s delivery. So all your important transactional emails, land exactly where they should - in the customer’s inbox. Who is the email from? How does one identify with your brand? Send emails that personally reflect your brand. Redesign the emails to sound like you, and not a Martian bot. Who is it for? Me? Great. Personalization works. 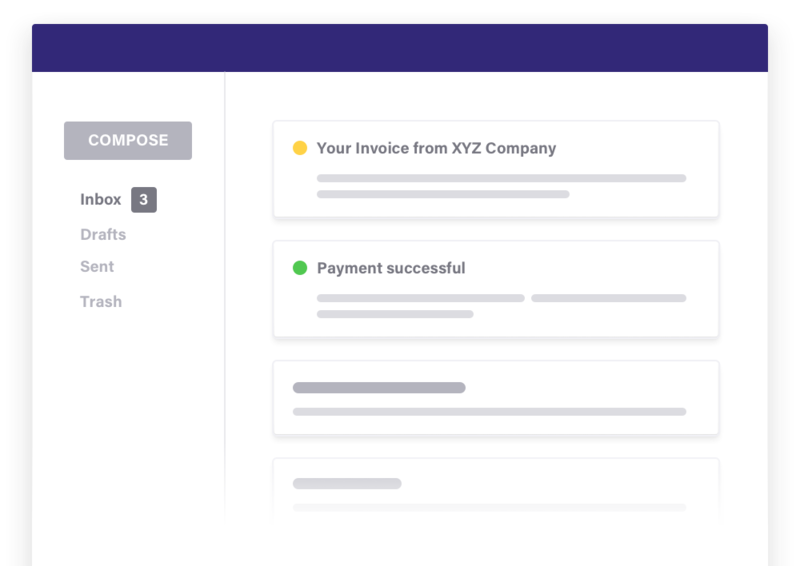 Chargebee's extensive templates and Mail merge variables take care of the tech that goes into sending contextual and personalized emails. Use your time to pour your heart into the email. Have some one-off big news for your customers in the UK? You can send personalized emails to a customer segment that’s filtered based on conditions. Do you want all your customers to update their payment method? Just manually trigger an email.